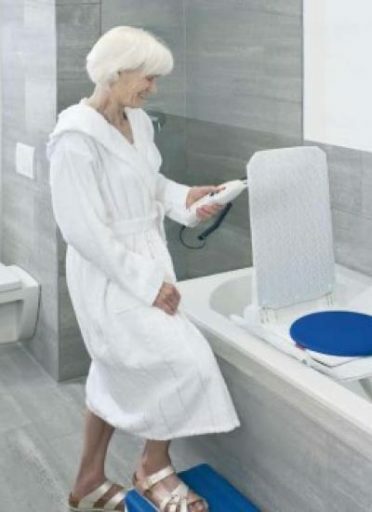 The Aquatec Orca familiy is comprised of superior quality and durable bath lifters that are designed to offer comfort, safety and reassurance to those most in need of support as they bathe. The Orca incorporates increased leg room, ease of disassembly and an ergonomic, floating hand control that contains the light weight battery. An emphasis on ergonomic design allows the Orca to sit lower and further towards the back of the bath, giving increased leg room for deeper and more relaxed bathing. The increased height of the backrest provides full support whilst upright or reclined.